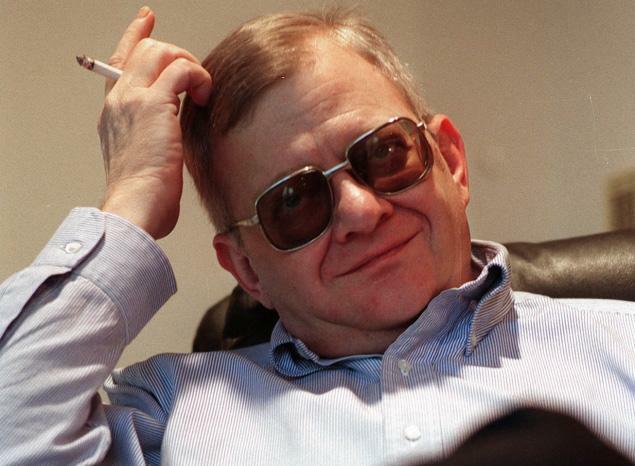 Tom Clancy, the bestselling author known for titles such as, “The Hunt for Red October” and “Patriot Games”, has died at the age of 66. Clancy graduated from Loyola Blakefield High School in 1965 and then went on to Loyola College in Baltimore where he graduated from in 1969. He and his first wife, Wanda Clancy, married in 1969 and were married for 30 years before divorcing in 1999. Clancy married his second wife, freelance journalist, Alexandra Llewellyn in 1999 and the two were still married at the time of his passing. Before Clancy began his career as a best-selling author, he spent some time running an independent insurance agency. With a great love for his country, he had a dream of joining the United States Military, however that dream was crushed because of his poor eye sight. Clancy’s first published novel was the best-seller, “The Hunt for Red October”, which went on to become a major motion picture. The 1990 film starred Alec Baldwin as “Jack Ryan” and Sean Connery as “Captain Ramius”. His love for the military showed through his best-selling books along with the Tom Clancy series of video games. Co-founding the video game developer, “Red Storm Entertainment” in 1996, Clancy expanded his empire with his self titled video games such as; Tom Clancy’s, “Rainbow Six” series of 18 games, Tom Clancy’s “Ghost Recon” series of 13 games, and Tom Clancy’s “Splinter Cell,” which is a series of seven games. Some of his other best-sellers include, “The Sum of All Fears,” “Clear and Present Danger” and his latest work, “Threat Vector,” which came out in December of 2013. In all Clancy had over 17 number one best-selling novels throughout his career. He received numerous awards in his lifetime, including the Alfred Thayer Mahan Award for Literary Achievement from the Navy League of the United States in 1990. He was a longtime supporter of Conservative and Republican parties, and a lifetime member of the National Rifle Association. Clancy dedicated quite a few of his books to Conservative figures, with the most popular being Ronald Reagan. According to his publisher, he died after suffering from a brief illness. A cause of death has yet to be released. He is survived by his four children and his second wife Alexandra Llewellyn. There is no doubt he will be missed as his life ended way too early, but his legacy will forever live on through his legendary work.